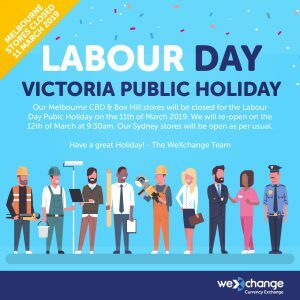 Our Melbourne CBD & Box Hill stores will be closed for the Labour Day Pubic Holiday on the 11th of March 2019. We will re-open on the 12th of March at 9:30 am. Our Sydney stores will be open as per usual.